I make! 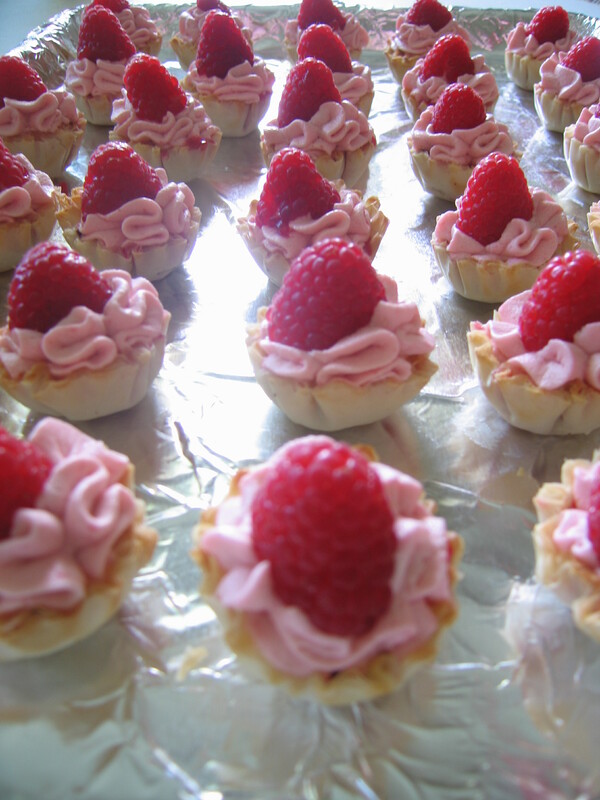 Raspberry mousse tart edition | Random moosages as I see fit. A few weeks back, I had a craving for raspberries. I think it was triggered by this coupon I got from Vons for a free carton raspberries if I bought 5$ worth of groceries. So anyway, I was trying to figure out what I’d buy for 5$ to get raspberries when I was volunteered to make dessert for my small group meeting. Perfect. I could buy 5$ worth of dessert supplies that would feature raspberries! I ended up making raspberry mousse tarts, which worked out really well, because it meant I didn’t have to turn on the stove or bake or anything. That’s important to note because it’s been ridiculously hot and using the stove just makes everything hotter. You can get the recipe from that link up there. I took a gander at it when I was thinking up things to do with raspberries. Also, you can take a look at all the other stuff Naomi does. It always looks delicious. I didn’t use cassis or grenadine. I had no intention of going out to buy cassis. Also, the raspberries were quite fresh (I had to go to Pavillions for them though, Vons had the most pitiful selection of raspberries ever) and were very vibrant. People thought I augmented the color of the mousse with food coloring. Nope. That was all raspberry. To help with the puree-ing and to highlight the tartness, I used a tablespoon or so of fresh squeezed lemon juice. I don’t normally whip sugar into my whipping cream. Instead, I pureed the raspberries with 0.25c granulated sugar and then folded the puree into the whip. Also, I used 2c of cream because what was I going to do with the 0.5c of leftover cream? I didn’t use normal pastry shells. I ended up finding phyllo mini tart shells at Pavillions and used those instead. But the thing with phyllo is that it’ll sog up, so you don’t want to make these too far in advance. These are BEAUTIFUL! OMG, I want some right now!! !